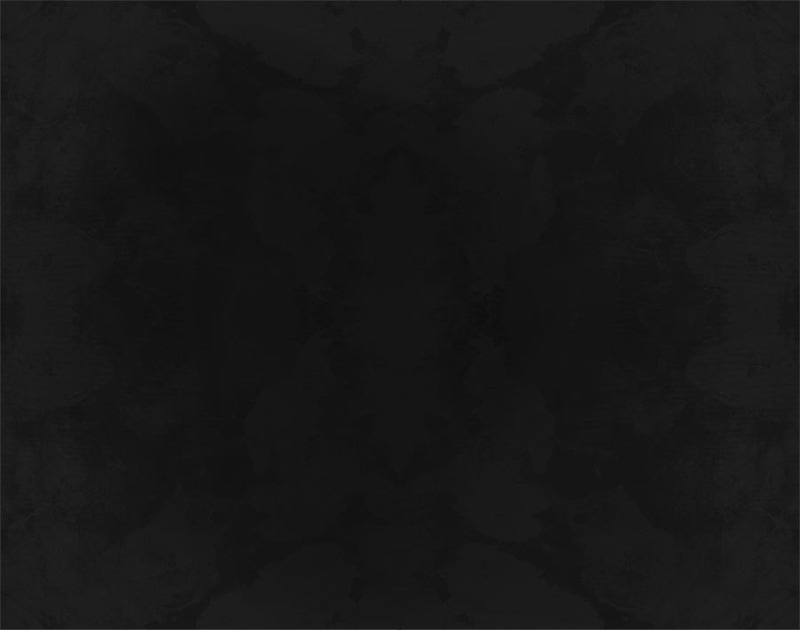 Few conversations are less promising than ones that begin with the words: “I had the most amazing dream last night!” Such is the nature of our unconscious wanderings that they’re never as interesting to the person hearing about them as they are to the mind in which they unspooled (unless, of course, you’re Sigmund Freud). Still, at the risk of putting you to sleep, I’m going to share with you one small detail of a dream I had last night, since it says so much about the impulse behind this posting. In my dream I’ve returned to the gym after a too long absence, only to discover that A) all the lockers are in use, and B) the gym floor has been taken over by a small, but very busy gourmet food shop (imported hams, French cheeses, shelves of fancy tomato sauces… you get the idea). In other words, because all the lockers were “full,” I couldn’t give my body what it needed (or wanted)—namely some exercise, and a break from all the rich foods I’d been eating. Not surprisingly that’s exactly what I’ve been feeling for the past few weeks, a period in which I indulged extravagantly in the full range of holiday goodies, then immediately left on a 10-day adventure in Morocco—a journey where exercise was limited (lots of walking but little else, unless you count a 30-minute camel ride) and the meals were rich, starchy, and hard to refuse. And so in addition to being desperately in need of becoming reacquainted with my health club’s treadmill, I’m also ready to say goodbye to all those carb-laden foods… at least for the next day or so. 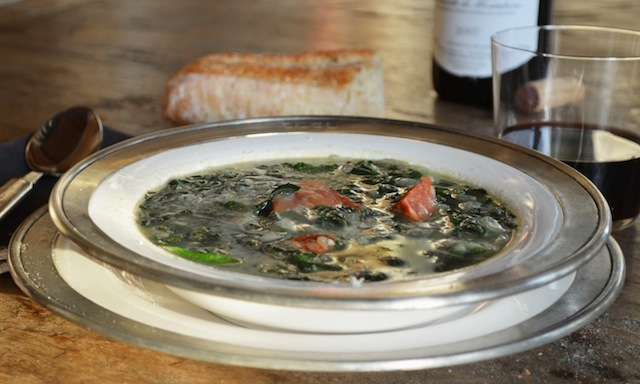 Which brings me to this week’s posting for spicy kale soup, a recipe I first tried several weeks before diving into the season of gluttony and one I immediately earmarked as an ideal (and painless) way to get the year off to a healthful start. 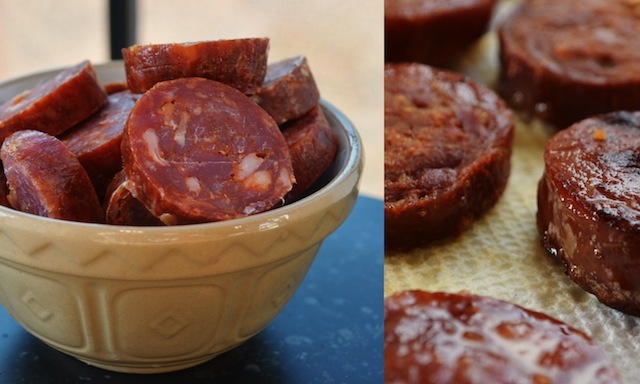 Well, sort of… because while the recipe may feature an abundance of kale, it also calls for a ½ lb of Spanish chorizo, an item that’s not likely to show up on the American Heart Association’s favorite foods list anytime soon. Still, the kale’s the undisputed star here; it’s this that imbues the soup with both its dominant flavor and rich green color—a hue that practically screams “healthy!” And, of course, few foods in the good-for-you category are as easy to say yes to as kale (especially when paired with anything salty or spicy), which goes a long way to explaining why kale has become such a favorite item on restaurant menus in the last few years, and why I can’t get enough of it. That compulsively eatable quality is on vibrant display with this soup, in large part because the leafy green is only introduced in the final minutes of cooking, once the various other ingredients have been sautéed and/or browned and added to the pot—a bit of timing that ensures the kale doesn’t lose its bright, grassy flavor and that the pleasantly rubbery leaves don’t turn to mush. As you might have guessed, it’s the elements that make up the soup’s base, namely the onion (and the garlic if you’re using, an addition I recommend) and the potato, that require longer on the stove-top, and it’s here that the cooking starts, a process that involves sautéing the onions and garlic until golden brown, then adding the sliced potatoes and cooking the mixture together for another four minutes or so. Next up is the liquid, which the recipe stipulates as eight cups of water. 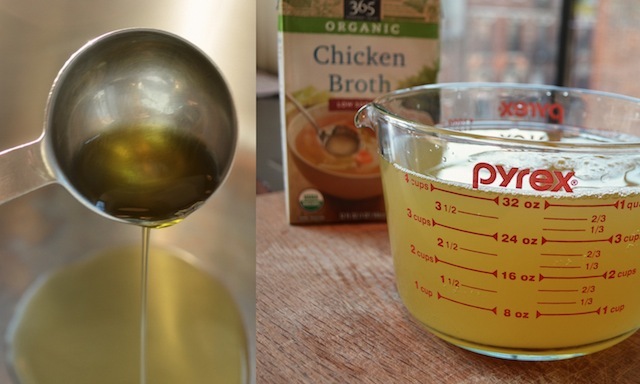 Here I propose a minor tweak, replacing four of those cups with low sodium chicken broth—a change that produced a richer, more satisfying flavor. Either way, once this mixture has had 15 minutes or so to simmer and the potatoes are tender, place a potato masher or hand blender inside the pot and pulverize the potatoes until they are coarse and chunky and the consistency of the liquid is more stew than broth. At this point it’s time to add the sliced chorizo, previously browned for five minutes or so (roughly 2½ minutes per side), and given a few more minutes to drain on several sheets of paper towel. Although the recipe calls for adding sliced rounds of chorizo to the soup, I cut each round in half because the full round simply struck me as too large for my soup spoon. 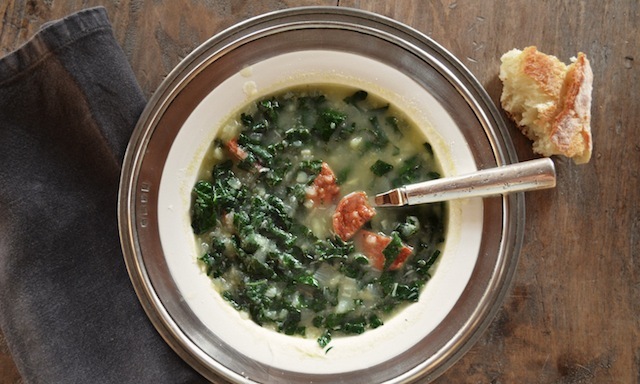 In any case, once the sausage has simmered five minutes or so along with the other ingredients—and for the spicy flavor of the sausage to permeate the broth—it’s time to add the kale, each leaf separated from its rib and sliced crosswise into 1/2-inch strips (something most efficiently achieved by folding the leaf into thirds before cutting). If all this sounds ridiculously fast and easy, you’re right—a rib-sticking soup in little more than half an hour. What’s more, with its deep flavors and rewarding chunks of sausage and potato it has the homey quality that’s the perfect antidote to even the chilliest winter evening. Of course, like any soup or stew the flavors only improve with an overnight stay in the fridge, though if you’re like me it’s unlikely to last that long. And no wonder: add a hunk of French bread and a glass of red wine, and this dish makes cold weather something to celebrate. —3/4 lb lacinato or regular kale, center ribs removed and leaves cut crosswise into thin slices. 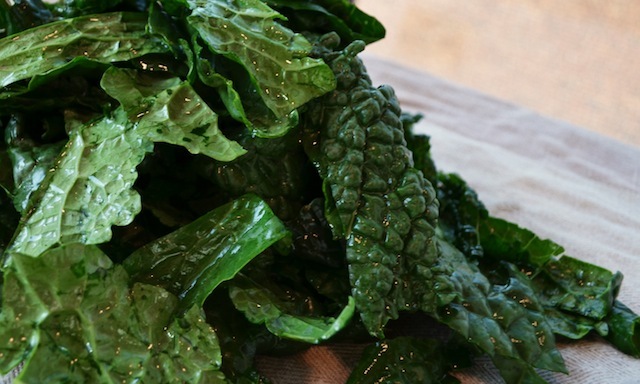 Note #1: Lacinato kale is also sold as Tuscan, Cavelo Nero, or black kale. Note #2: Regular kale can be substituted but Lacinato has an artichoke-like sweetness that makes it ideal here. 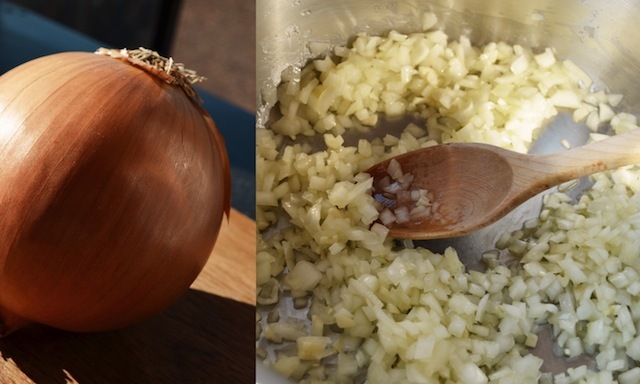 —Cook onion and garlic (if using) in oil in a 5-quart pot over moderate heat, stirring occasionally, until pale golden. 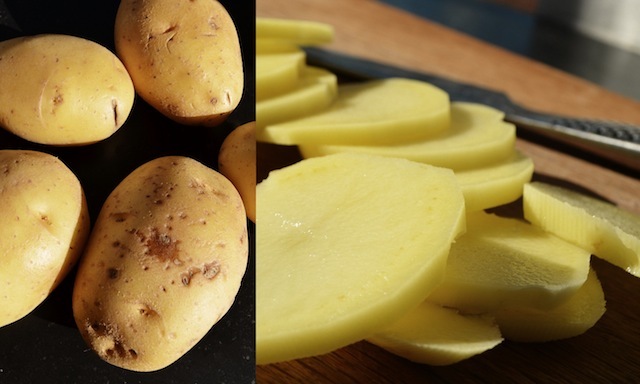 Meanwhile, peel potatoes and cut crosswise into thin slices. Add to onion and cook, stirring occasionally, 4 minutes. Add water (and broth, if using) and salt to taste and simmer until potatoes are very tender, about 15 minutes. —Cook chorizo in a large nonstick skillet over moderately high heat, stirring occasionally, until browned, about 5 minutes. Transfer to paper towels to drain. 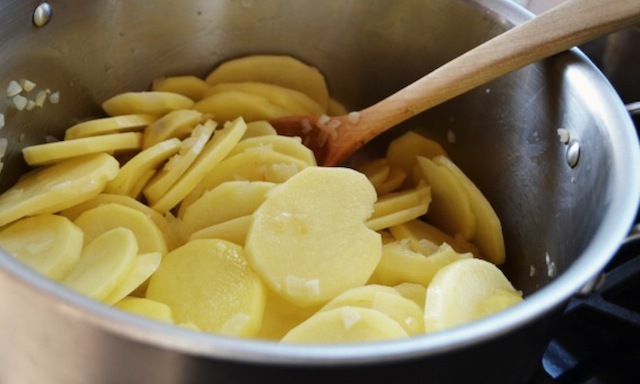 —Coarsely mash potatoes in pot with potato masher (do not drain). Stir in chorizo and simmer 5 minutes. Stir in kale and simmer until just tender, 3 to 5 minutes. Season with salt.